To play this game, you will need to print off a copy of the race track, and you will need someone to play with. 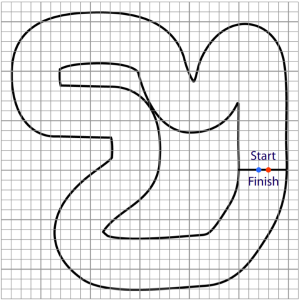 Each player moves in turn, and uses vector notation to describe their moves around the race track. Each player starts off from rest. Each horizontal and vertical component cannot differ by more than two from the previous move. Challenge a friend to a race. 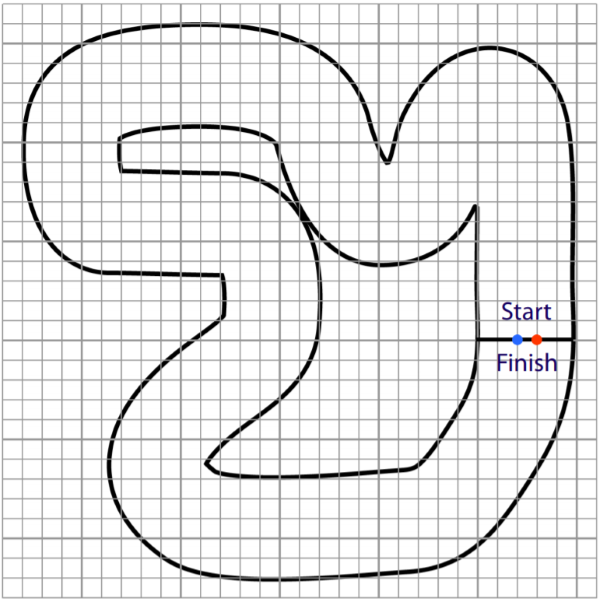 Choose your starting positions and agree what the penalty will be for going off the track. Who can get round in the fewest moves? ​Here is an alternative version you might like to try. The challenge is to avoid the pits. Who can get round in the shortest distance? Scalar products. Physics. Maths Supporting SET. Vector Notation and Geometry. Vector algebra. Tessellations. Mathematical reasoning & proof. Matrices. Positive-negative numbers. Vectors.